BRYAN, Tex (KBTX) - Most Texans know the phrase, "Drought ends in flood. Flood ends in drought." For us, for now, the case is the former. At least for almost all of us. 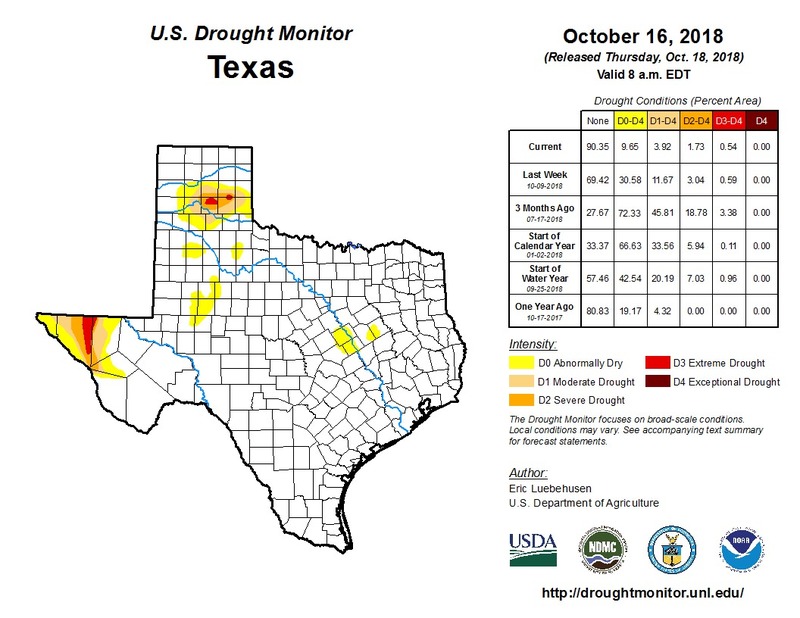 Save a tiny sliver in far West Texas and parts of the Panhandle, all of the state of Texas is considered out of drought with the newest update released this morning. This includes the Brazos Valley, where we could actually use a few rain-free days to dry things out a bit and clear the standing water. For now, we'll see what we can do with more scattered rain chances over the next week, but the potential for flooding remains with saturated grounds here and across most of the Lonestar State. Here's two months ago compared to today. 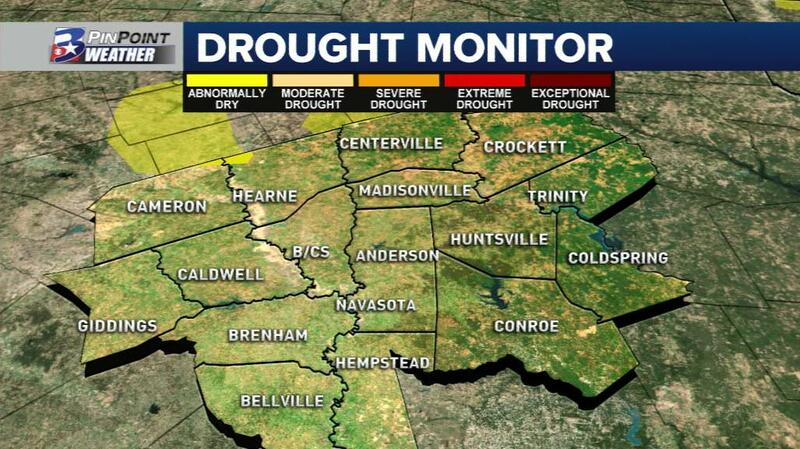 Where we once crept into an area of extreme drought (not seen in the Brazos Valley since October of 2015) we are now completely free of drought. 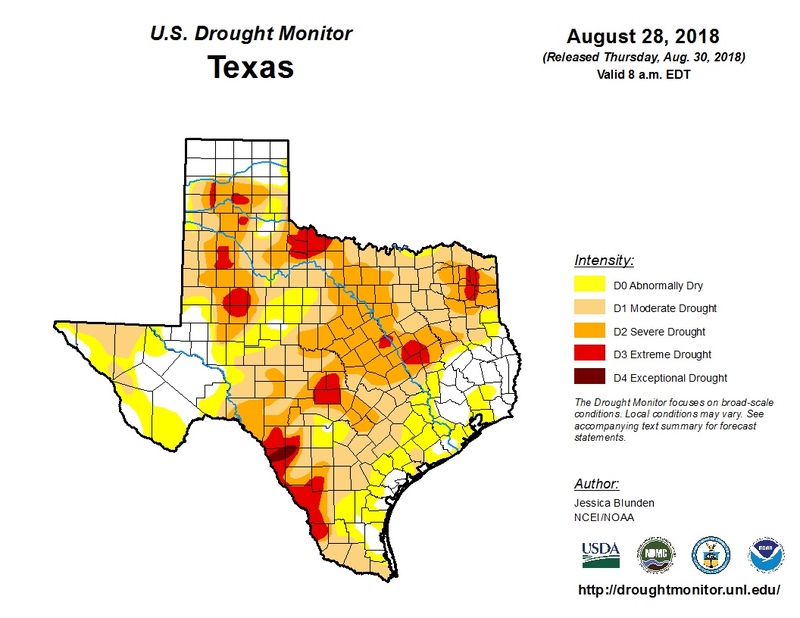 Safe to say....#Texas has once again erased #Drought in a dramatic fashion. Grand total for the past 8 days: 17.8"